A vacant Dallas rental property is a property that isn’t earning you any income. Vacant properties are also detrimental to maintenance and keeping the home in good condition. When no one is living in it, you don’t know that there’s a leak under the sink or a hole in the drywall. It’s important that you keep your property occupied, not only so you increase your ROI, but also so you preserve its value. During a brief vacancy, you should take care of minor repair issues and cosmetic updates. However, you don’t want that vacancy period to stretch on. The longer your home is not occupied, the less money you’re earning on it. 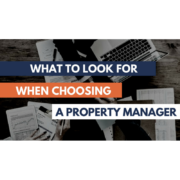 Working with a professional Dallas property manager can help you minimize your vacancy time and earn more on your investment. There are a number of other things you can do to avoid long vacancy periods. Quick tenant placement will reduce vacancy, and to get a good tenant in there fast, you need to have a great home to offer. Make sure your home is rent ready before you put it on the rental market. It has to be in excellent shape, and looking good to prospects. Take care of any deferred or outstanding maintenance. You aren’t going to rent your home to a tenant when there are things that still need to be done. If a tenant sees that the carpet needs to be replaced or the appliances are pulled out and not working, you’re going to lose that tenant. Don’t tell them that you’ll fix things before they move in. Have the things fixed before the tenant sees the home. Provide curb appeal and modernize the home. Properties with great curb appeal are rarely vacancy for long. Tenants are anxious to rent them. Make sure your house looks appealing from the outside, and make some minor and inexpensive updates to it. New lighting and window treatments can make a difference, and so can a fresh coat of paint or pretty landscaping. Have the property professionally cleaned. Going over the floors with a vacuum isn’t enough. Have some professional cleaners come in and scrub everything from the walls to the baseboards. The property really has to shine if you want it to rent quickly. Any clutter, debris, and personal belongings must be removed. Dallas tenants understand the rental market, and they know what a fair price is for properties like yours. Don’t price it too high, because prospective tenants won’t bother looking at it. All investors want to make the most off their property, but a price that’s too high will only cost you in vacancy time and tenant quality. Many things play a role in how you price your property, especially location, size, and condition. The amenities you include or offer will also impact your price. Once you know what you have, compare your property to the others on the market. This will help you choose a rent that reflects the market and your home. Don’t hold out for higher rent. It will lead to longer vacancies and less ROI. Let’s say you want to rent out your Dallas home for $1,500. But, the Dallas rental market is really only going to support a rental rate of $1,400. But, if you keep the $1,500 price tag and it takes you a full month to rent out your home, you’ve lost $1,500 over the course of that year. That’s $300 more than if you had listed it at $1,400. If it takes you a month and a half to rent out your home at $1,500, you’re losing $2,250. You can get a lot of conflicting information online about what properties in Dallas are renting for and what they’re worth. Most landlords look at Zillow, Trulia, Rentals.com, and even Craigslist to find out what homes are renting for. But, the data isn’t always accurate. A local property manager can give you a good idea of where you should be price-wise. Properly marketing your home will lead you to faster tenant placement and a lower vacancy rate. In today’s rental market, you need to have a strong online presence, where you’re advertising your home on rental sites and social media. That’s where tenants are looking for their next home. Photos are the most important part of your ad. Your listing needs clean, professional, and attractive photos. You don’t have to be a professional photographer to know that lighting is important, and so is the angle from which you’re taking the picture. Make sure your shots accurately reflect the home you’re renting out. Use those pictures to attract great tenants. Use as many photos as you can. Include pictures of the kitchen, master bedroom, any outdoor space, and the front of the house. Pay attention to the quality of your photos. Then, write a great ad. It doesn’t have to be long, but it does have to include information about what your home has to offer. Mention any recent updates, the school district, and the size of the property. You must also include particulars, such as the rental amount, whether pets are allowed, and when the unit is available. Don’t forget your contact information. 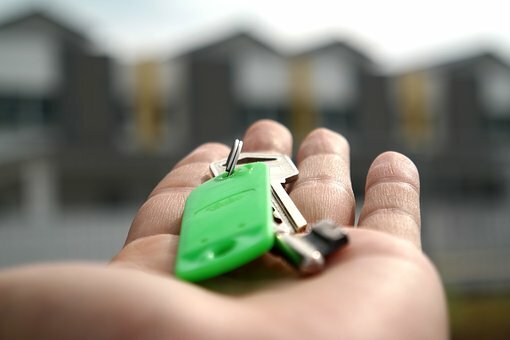 When you can put this ad on the rental sites with the most traffic, you’ll have a larger pool of tenants who are aware of your property, and a better chance of renting it out quickly. A responsive Dallas landlord will easily reduce vacancy. You have to answer your phone and your emails if you want to place a tenant efficiently. Prospective tenants will want to see your property. Make sure you’re available when they are. If your schedule does not permit you to show your property to your tenants personally, invest in some technology that will allow the tenants to see the property on their own. You’ll also need to respond to any requests or questions that your prospective tenants have before or after seeing the property. You cannot place an ad and forget about it; you’ll miss out on a lot of potentially great renters, and your home will sit unrented for quite some time. If you are too busy to keep up with the phone calls, the showings, and the application process, talk to a property manager in Dallas who can help you lease your home. You’ll be saving money because vacancy is a lot more expensive than leasing fees. Tenant screening is an important step in placing a tenant, and it needs your attention. Placing bad tenants only leads to additional vacancies, because they will either leave before the end of their lease term, or you’ll have to evict them. Make sure your screening process is automated, consistent, and fair. You should have a system in place that allows you to run a background check, collect credit information, verify employment and income, and talk to previous landlords. Once you have qualified a tenant, collect a deposit within a few days, get the lease signed, and discuss a move-in date. Tenant retention is often overlooked by landlords, but it’s a great way to avoid vacancy. When you already have a high-performing tenant in place, you want to keep that person there as long as possible. Pay attention to maintenance, and be responsive when repairs are needed. When you stay on top of maintenance, you’re letting your tenants know that you care about their needs and their happiness. That will keep them in place. You’re also protecting the condition of your home, which is important in preserving its value. Ignoring maintenance requests will alienate your best tenants. Don’t give them a reason to leave. Communicate openly with your tenants, and show them you’re available. You’ll need to provide an emergency contact number, in case something goes wrong. Even if you can’t solve your tenant’s problem right away, you can let them know that you’re working on it. Keep the lines of communication open, always. Discuss the lease and all of your expectations with the tenant. Tenants don’t like to play guessing games. When you’re clear from the beginning about responsibilities and expectations, everyone is on the same page. Tenants respect this, and feel protected. Be smart with rental increases. You’re within your rights to raise the rent every year, when a lease renews. However, make sure you are making a reasonable increase that’s supported by the market. Give tenants plenty of notice, and be willing to talk about why the price is going up. Tenant turnover is just as expensive as vacancy, and you want to avoid it. Keeping your good tenants in place creates additional rental income and ROI. Pay attention to vacancy and what it’s costing you. If you need any help with Dallas property management or you have any questions, please contact us at Specialized Property Management.